It's Nintendo Download Update time, dear readers, and the North American line-up includes three download-only options on the Switch along with a retail release and demo. The Wii U is quite well served too, including two Virtual Console release, while the 3DS also has a couple of options. Let's get to it, shall we? Graceful Explosion Machine (Vertex Pop, $12.99) - A title unique to Switch so far, it offers brightly coloured, tightly controlled and compulsive shmup action. On the surface it's a simple shooter, yet its weapon types and focus on playing with 'style' add replayability and depth; we got drawn in by this one in our Graceful Explosion Machine review. 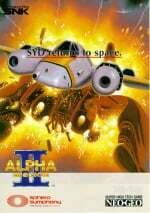 Alpha Mission II (HAMSTER, $7.99) - Known as ASO II: The Last Guardian in Japan, this 1991 vertically-scrolling shooter was one of the earliest titles for SNK's Neo Geo console, and served as a sequel to the 1985 arcade original. As this is an ACA release there'll be the usual customisation and online leaderboards included. 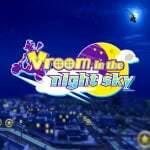 Vroom in the Night Sky (POISOFT, $9.99) - This is a 'magical bike action game' that involves plenty of collecting and riding to checkpoints; we were not fans in our Vroom in the Night Sky review. LEGO City: Undercover (WB Games, $59.99) - Originally a Wii U exclusive, this quirky open-world title now arrives on Switch and other current-gen consoles. Essentially the same game, minus the second-screen GamePad features, we'll have a review with you soon. Animal Gods (Still Games, $12.80) - This ambitious and visually appealing top-down title was Kickstarted in late 2014 and has, pleasingly, now been delivered. You travel through a range of intriguing environments and dungeons to lift a curse, and there's an unlockable difficulty level once you clear the game once. We'll let you know what we think in a review. 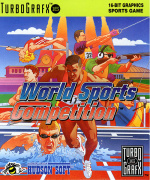 World Sports Competition (Konami, $5.99) - Well, here's a thing, a TurboGrafx-16 release on the Wii U Virtual Console, in this case an athletics game with six categories of events. We thought it was pretty average in this decade-old review; time flies. Super Star Soldier (Konami, $5.99) - And another one! This one is a shmup, one of the most common genres of that era; we quite liked this on the Wii Virtual Console. 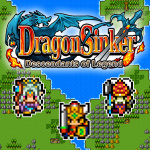 Dragon Sinker (KEMCO, $9.99) - This is a publisher that's brought a lot of RPGs to the 3DS eShop, with this one falling into the '8-bit' style. You search for legendary weapons, 'collect' jobs and try to "free the world from the rule of Wyrmvarg". Sounds like a good weekend's work. Pinball Breakout (nuGAME, $7.00) - As the name suggests this one combines block-breaking gameplay with pinball mechanics; it was previously released on Wii U. As always Nintendo of America wants you to check out the eShop and the official sales and deals website for discount details. Wow. Zero votes for Graceful explosion machine? I imagine because no one has really voted yet, but it seems strange seeing it at zero because Nintendo was pushing this one. Hmmm. I do wonder when we'll get info about the Switch's Virtual Console offerings. 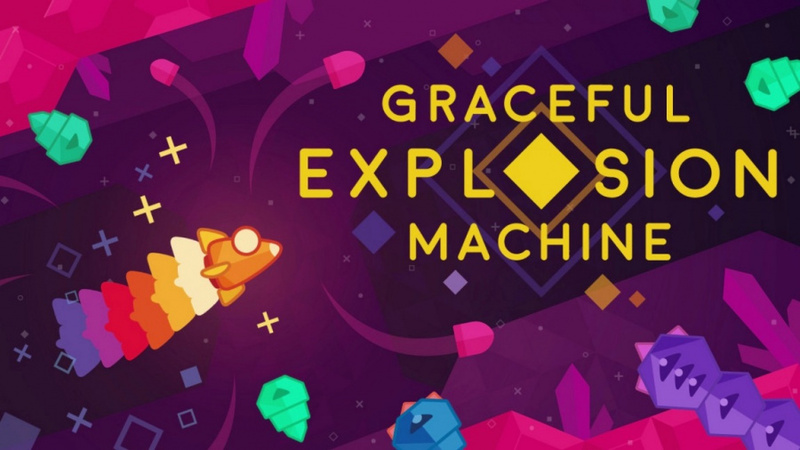 I was already thinking of buying Graceful Explosion Machine. A 9/10 NL score seals the deal. Alpha mission sounds good. I can use a good Shmup.. Super Star soldiers is great. Man, Animal Gods looked sooooo good back when they announced it but the reviews for the pc version are terrible. Oh, well. I'm still buried in Brave Dungeon from last week, anyway. I didn't know Lego City was going to be a full price title.Apart from the fact it's now portable,has co-op mode and loads a few seconds faster,I'm not sure how anyone with a Wii U can justify spending $59.99 on it when it can be had for $19.99.Those long load times aren't exactly ideal for portable gaming anyway. Looking forward to GEM, looks like it should be a lot of fun! About LEGO City, was there any addition in terms of content or is it exactly the same as the Wii U version? Does Shovel Knight DLC update on WiiU this week? Or is that just for PC/Steam? 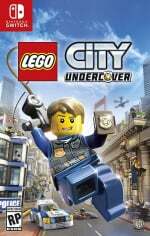 I would have downloaded Lego City Undercover, but it wasn't available in the morning so I ended up buying the physical version. I've never understood why the time games become available varies so much. Alpha for me. I used to love the Raiden arcade back in the day and this looks similar. Nice price too. Nothing this week. Graceful Explosion Machine is cute, but it doesn't look like a game I'd pay $13 for. Vroom in the Night Sky for me. @holygeez03 just pc and steam at the moment. The console versions should be ready by next week. But the important question is whether Vroom's bad translation has been fixed. That was part of the appeal. Yes, I have only heard of it from watching Clyde Mandelin play it. Graceful explosion seems like it's a lot of hype from Nintendo over a kind of "meh" looking game, though I'm not a huge shmup fan beyond the classics like R-Type & Darius Twin, so I could be missing the good points. For my money the Neo Geo shmup looks a bit more everything. Nothing too intriguing this week, but we got two masterpieces in Snake Pass and Has-Been Heroes,, reviews of H-BH aside, last week plus Lego City, so not much to complain about this week! This is probably the only time I'll ever have a Just Dance game on any of my consoles, but hey, it's the second demo so it will be nice to have something else to try! Fan of the original? You'll love it. Not a fan? Now you have a reason to love Blaster Master. @NEStalgia "Masterpieces"? Steady on there fellow. 74% and 49% respectively on Metacritic says they're certainly not masterpieces. @Alto Ha, neither. I've never played it, though I've wanted to for years. I'm excited! 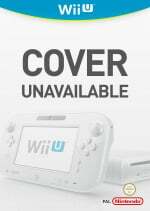 Lego City Undercover is the same game minus the second screen features and it costs 3 times more than the Wii U version does. Nice! I'll grab Alpha Mission and the TurboGrafx games and probably Graceful Explosion Machine. Getting Graceful Explosion Machine once I finish Zelda. Nada for me this week. Still waiting for Pocket Rumble. Dragon Sinker is a lot less interesting now that I know it's a JRPG and not some quest-based pool/billiards game. Still looks kinda cool in the trailer though. Super Star Soldier on Wii U looks like my jam, I was interested in the game a long time ago, actually. However, its no Rondo of Blood or Gofer No Yabou. Holding my money for Wonder Boy on my Switch though, that is highest priority. And my Switch keeps on gathering dust. I picked up a few old Skylander Games (picked up Superchargers for $5 at Five Below) and 5 more figures for less than $10 at Gamestop. I figured that will keep the kids busy for a little while. I'll be working on getting the last virtual console and Wii U games I want this year as I find them discounted. Nintendo: "3DS isn't dead! We're just discontinuing VC support. And we're shifting most of our focus to the Switch. And so are our indie developers. But hey, we're not taking down the eshop so you can still download stuff!" The only game I'm interested in is Super Star Soldier, but I don't have a Wii U and I already have it on my PSP anyway. Looks like nothing this week. That's ok though Last week was a busy week so I still have not had a chance to play Snake Pass. I agree. It's not like it would take any more time to put a VC title on 3ds rather than WiiU. I'll bet nobody else here is viewing this website wonderfully on a Power Mac G5 running OS X 10.4.11. I adore this machine. Sorry, wut? Nintendo downloads? Cool. I'm interested in Animal Gods. It's a little surreal seeing a 2014 KS game finally arrive, but it must have had strong backers for it. I'll continue checking the game out. Shmup week on Switch, but they seem like good options. I saw "Animal..." in the subheadline on the main page and thought we might be getting a surprise Animal Crossing release on the Switch. Oh well. Great week for shmup fans! @Justaguest I was moving right along with Zelda but now I'm stuck with this stupid dark cave that I can't see crap in! Lol-about to give up on it! @SLIGEACH_EIRE Hah! Well if you're going by metacritic as the all seeing oracle, then yeah. Snakepass is widely praised (it's not without faults as one would assume with an indie. if it started scoring on par with Ocarina and BotW I'd start to worry about the critics....) but for an indie it's a close to masterpiece as you get. Has-Been Heroes...well, that one has its own thread, beauty is in the eye of the beholder and all that. The critics are doing that poor game a great injustice. It ain't pretty, but the gameplay is actually quite good and addictive. I promise that one will go cult classic. Its fans will herald it forever, the public will hate it, and then 30 years from now the hipsters will be singing the praises of amazing games like that that nobody appreciated. It's not an epic adventure but it's twice as addictive as pachinko. Take notes, Konami. You and I are definitely two of the biggest advocates for the continuation of 3DS VC. I'll say it again that it makes zero sense for Nintendo to kill 3DS VC until they've exhausted their own catalog. Never mind games like Starfox, that utilized Super FX, but what about Super Mario RPG? Kirby Superstar? Kirby 3? Uniracers? It makes no sense to me. @Alikan Yes and what you will get will likely be modified games that they can charge more money for. @JaxonH so then shorter than Wii U load times was? Ok, who the hell voted for Vroom? You jokers must be crazy!!! @Krambo42 u will have a blast! Oh definitely. Anywhere from 25% to 60% reduction in load times vs Wii U version. 25 second loads are now 19, and 15 second load times are now 6... It feels no different than playing Zelda. I mean ya, they're still long load times but not unreasonably long. If Zelda is ok with you this will too. Ya like I said they're still long but, they've been shortened enough to fall in line with a ton of other games. Or games that are stuck exclusive to WiiU like StarTropics, Ice Hockey, Double Dragon 3, bayou Billy or how about more Gameboy games like Pokemon gsc, Pokemon pinball, Castlevania Legends or how about the tg16 VC that japan has? How is it possible that Wii U is still not really an inferior offering to its successor? So far just Spelunker World for me. I don't know how to read Japanese, but I can't resist a free game/demo! (It is free on the Japanese eShop.) Is it a demo, a trial, a full game, or what? I haven't got a clue, but I like it. Still not decided which should be my next game after Zelda. Blaster Master, Shovel Knight, GEM, Isaac or Wonder Boy (coming in 2 weeks). New Turbo games, but still no "Bonk's Revenge?" All Turbografx games are welcome for me!!! They really need to get the VC up and running for Switch. As a new system, we want options, even if they are retro titles we have on our Wii Us and Wiis. I love Metal Slug, but the main reason I re-bought it last week was to have three icons to choose from on my home screen. No downloads but I did buy a physical copy of Lego City Undercover. Only up to chapter 3 but it's a very fun game.